I love this caprese salad! It's simple to make and you will love the refreshing taste this recipe has. 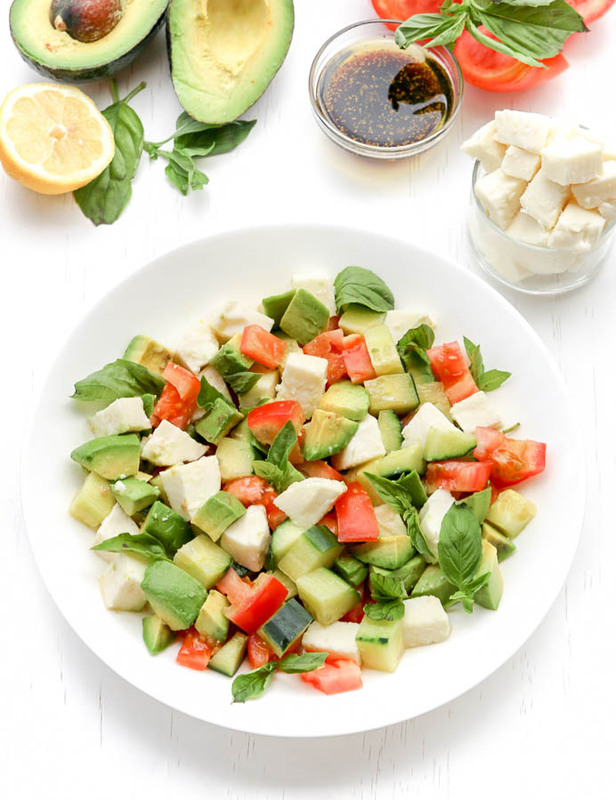 This healthy clean eating recipe is great as a snack for any time of the day. It's filled with vitamins and packed with nutrition. Besides that, the cucumber hydrates and the tomato contains many heart health benefits. Cut 6 oz fresh mozzarella, 1 large tomato, and 1/2 English cucumber into bite size cubes. Chop a small handful of basil and arrange with cut ingredients. Balsamic vinaigrette: Whisk together 2 Tablespoons extra-virgin olive oil, 1 Tablespoon balsamic vinegar, juice from 1/2 a lemon, and a pinch of salt and pepper. Drizzle on salad.